A misreading: Adam Smith never ever pretended that only the « invisible hand » – a suggestion among others, to replace within a time of wealth stagnation, often seen as fatality – would lead to progress for every one! Actually Smith himself did realize potential risks of drifting from his refreshing economic innovation. « Free market » and « individual profit benefiting everyone » concepts, further to centuries of feudalism and oppression, were true revolutionary themes! 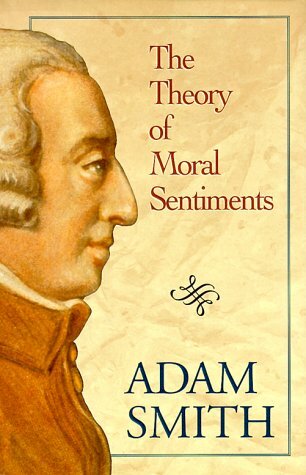 Before publishing (in 1776) his so famous « Inquiry into the Nature and Causes of the Wealth of Nations », Adam Smith went sentimental and humanist when he wrote « The Theory of Moral Sentiments » in 1759. So here’s our misleading fallacy: to fall in love with volume 2 while forgetting about volume 1! Smith’s editor’s marketing fault? Apparently freed from any moral constraint, capitalism took off tremendously all over the world. Thanks to large and abstract stats and maths formulas, it turned professional, so rational, irresistible!! We see it everyday, a kind of extreme capitalism not so liberal and not willing to share. Embodied in large monopolies and oligopolies, sometimes if not always treating resources and consumers no better than milk cows. Power struggle leading to commanding position and its abuse… What a stereotype! On the other (invisible) hand, another kind capitalism, moderate, open and sharing also developed. Was is the one foreseen by Adam Smith? You find it everywhere, around the corner, as in thousands of SMEs, human scale industry and craftsmanship. Small is beautiful, with more balanced power between stakeholders (employers and employees, consumers and citizens). Down on earth capitalists, entrepreneurs with real ambitions. Some seek a kind of harmony, through cooperation and long lasting links. At the heart of real economy and territories, these firms remind of the Gauls villages (Asterix). They do resist as germs resist to antibiotics! That’s probably the magic of capitalism. Not to forget innovation and local jobs creation. Adam Smith would be proud of this last but not least attempt to merge concepts from his own books, right between « wealth » and « moral sentiments », in order to find a place for every human into economy!